eLEAF is a Netherlands based high-tech company that works on projects that matter. We are pioneers in operational satellite based solutions, and with our continuously developing algorithms, we make sure we keep offering cutting-edge and relevant products. Our data and applications support clients worldwide to use water sustainably, increase food production and protect environmental systems. We collaborate with partners that are at the forefront of innovation in food security and water productivity. This enables us to deal with challenges and problems the moment they arise and develop a structural solution for it. eLEAF is active worldwide and has experience with delivering data for more than 50 countries. Our clients range from public authorities that need a solution for complex resource management issues to commercial clients that require reliable operational monitoring products for the optimisation of their production processes. eLEAF provides satellite based applications and data to optimise crop production and water management. Whether you are managing a multinational agro-holding or developing complex water management policies, our state-of-the-art products will provide an extra dimension and support you to optimise your outputs. Our approach is flexible. We listen to what our clients need and work closely with them to develop tailor-made solutions. Visit us in Wageningen or contact us by email or phone to see how our products can support your goals. 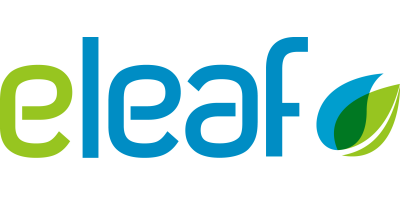 eLEAF’s mission is to be the global reference for operational and reliable high quality data on crop growth and water use, to increase food production, support sustainable water management and protect environmental systems worldwide. The world is facing real challenges on water and food security in the foreseeable future. By 2050, the global population will have increased to roughly 9.5 billion and over 50% of these people will live in water stressed regions. The climate is also changing, leading to insecurities about water availability. To sustain the growing population we will need to produce more food with less water resources. This calls for a drastic improvement of the current performance of food production systems. Based on satellite data we provide insight into crop production levels, the associated water use and water resources availability. Our data can optimise food production and crop water use efficiency, identify food security threats and safeguard fair allocation of available water resources. This is where eLEAF makes a difference.